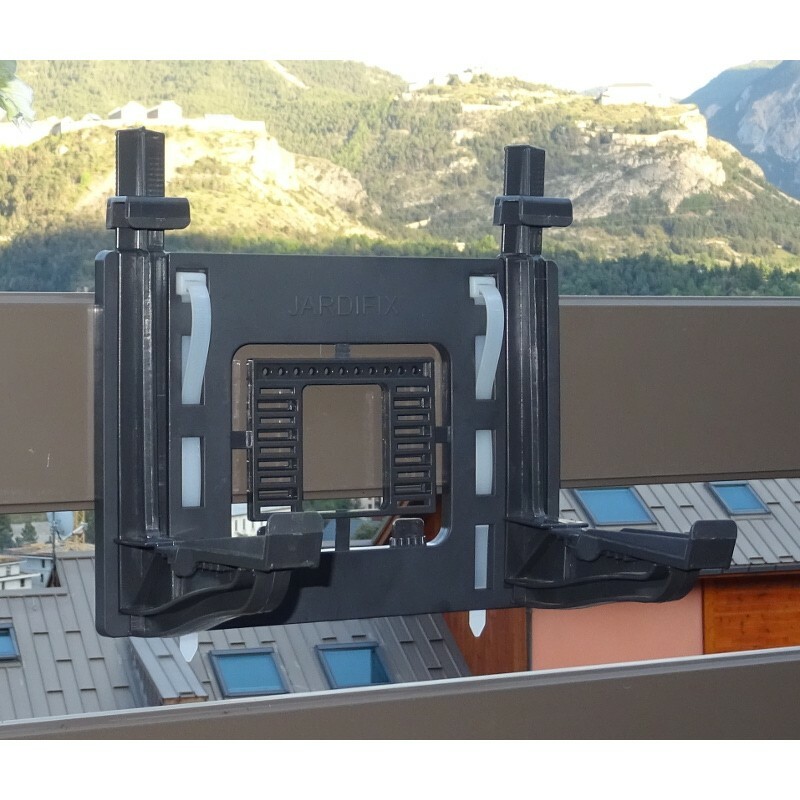 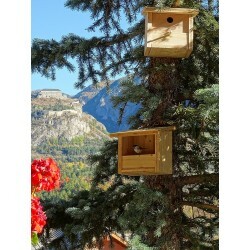 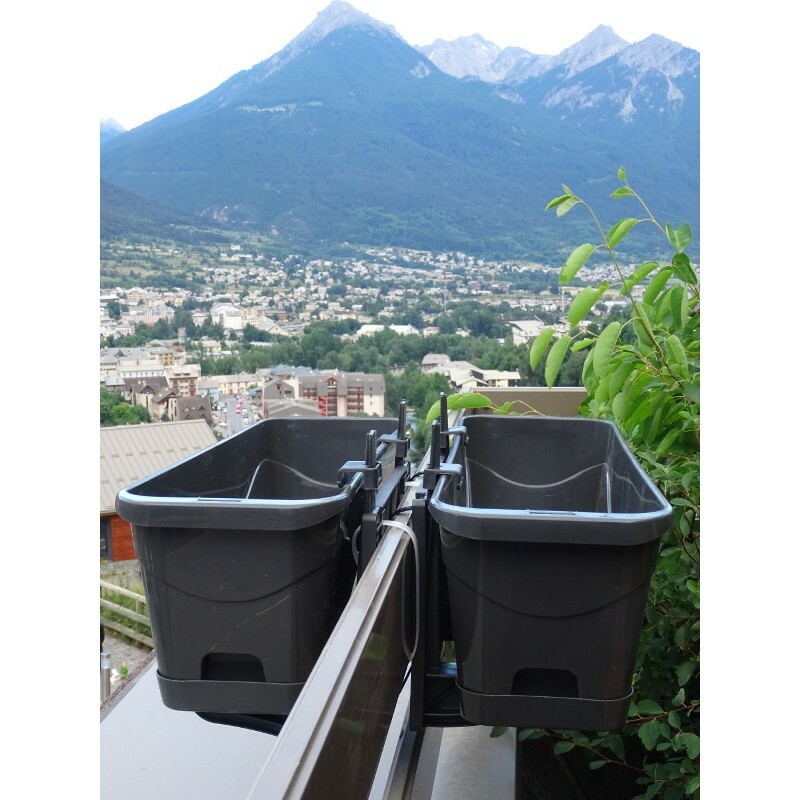 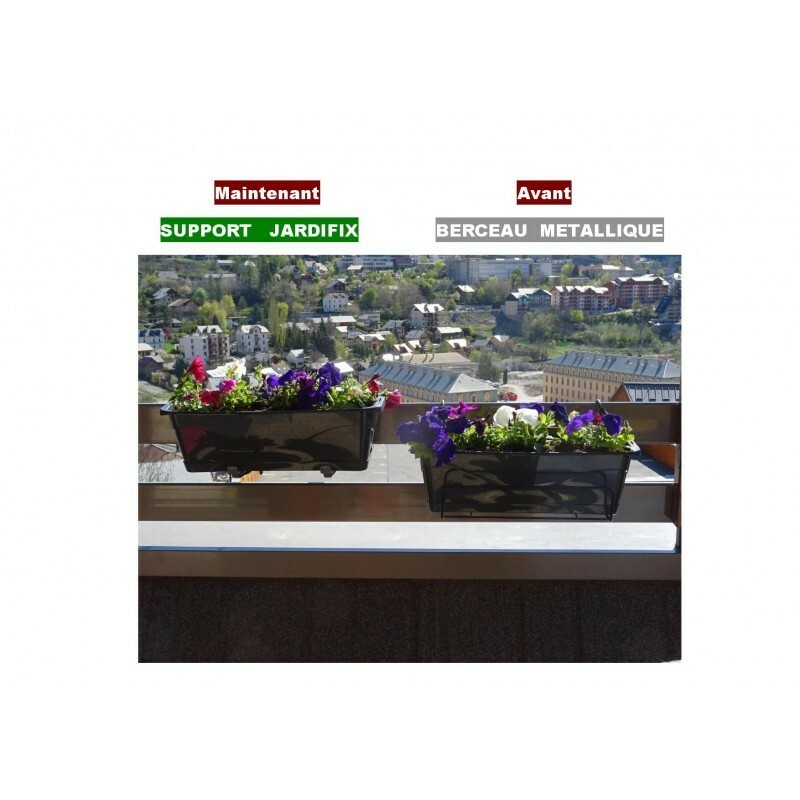 Innovative JARDIFIX planter holders adapt to all types of balconies, barriers and wall surfaces. 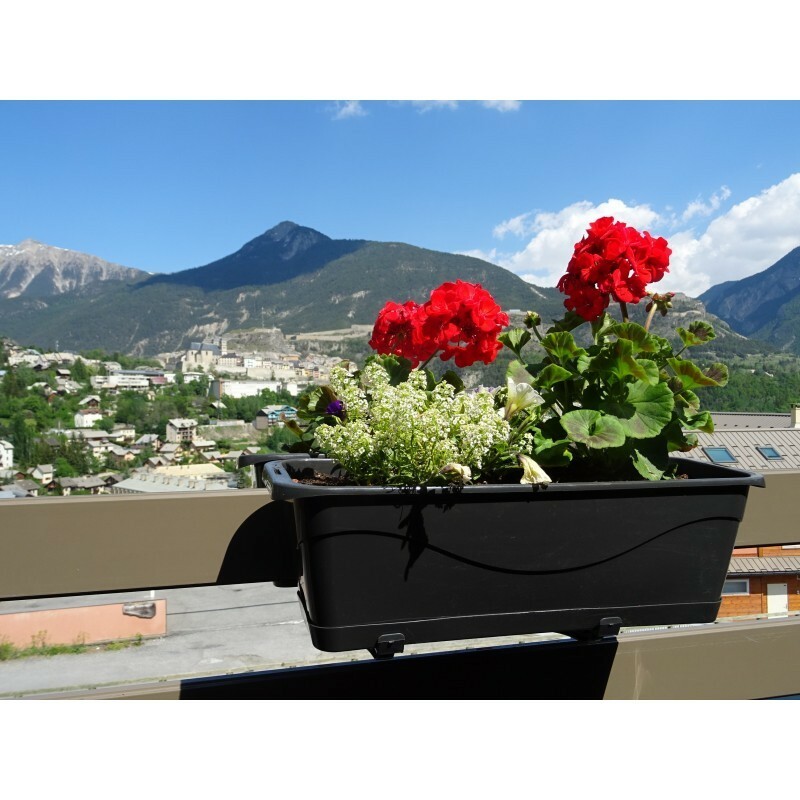 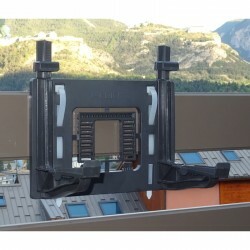 Made of fiberglass reinforced polyamide, they bear a load greater than that of the planter with its contents. 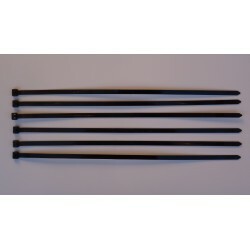 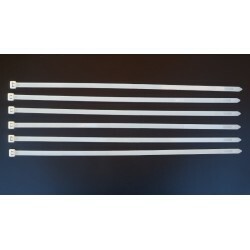 UV treated, they resist heat and frost. 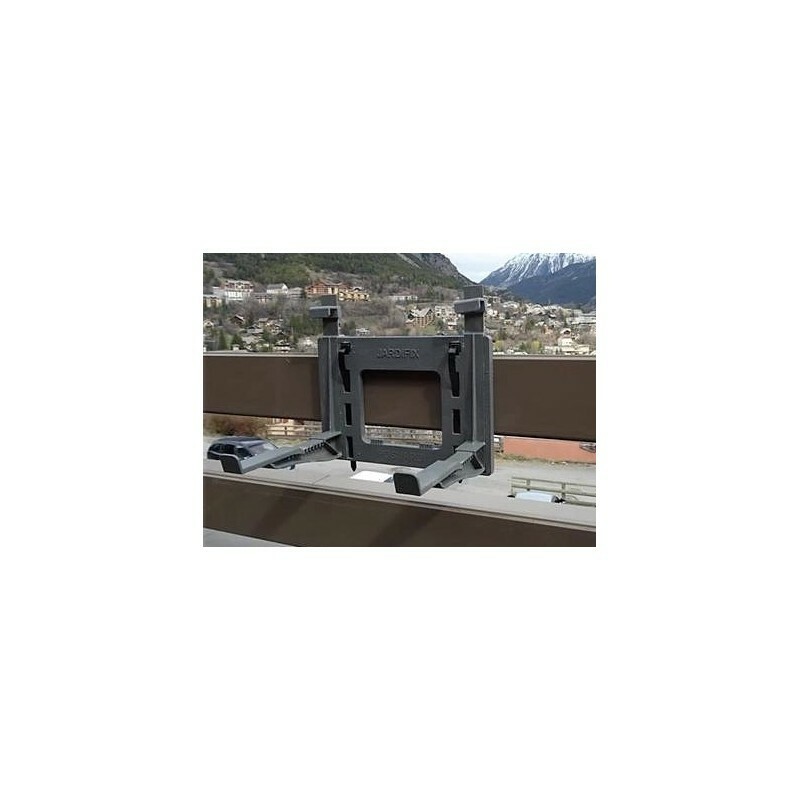 Possibility of installing 2 holders head to tail on a rail. 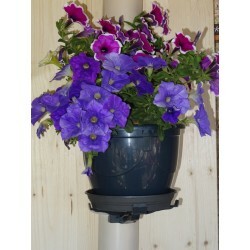 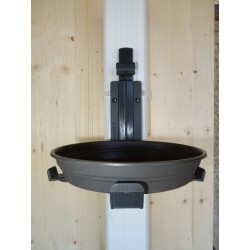 Raised above the rail, the Jardifix planter holders allow the flowers/plants to grow on both sides. 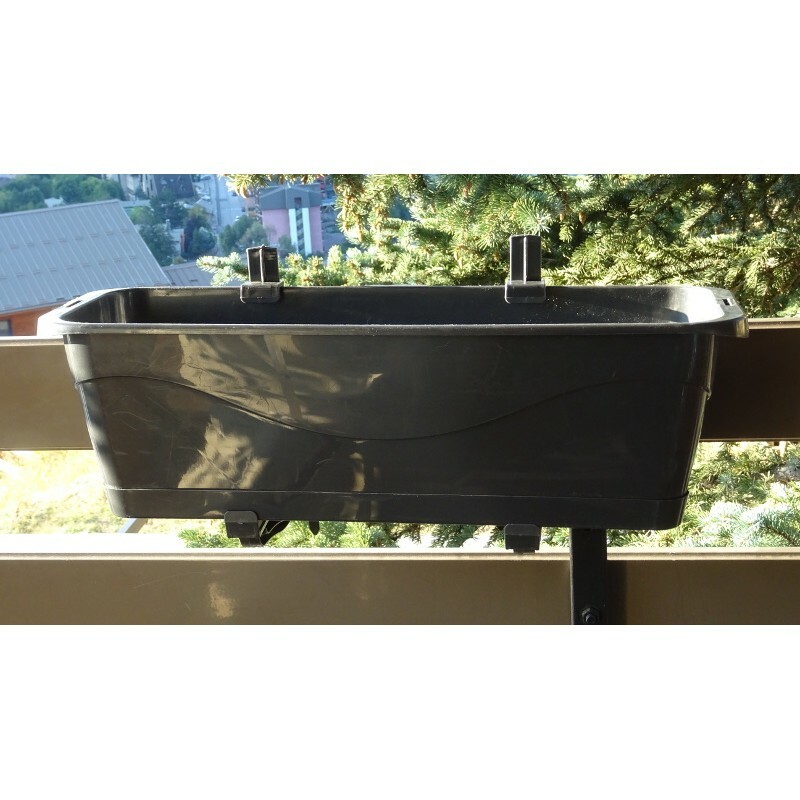 The planter is in horizontal position, watering is done without overflow. 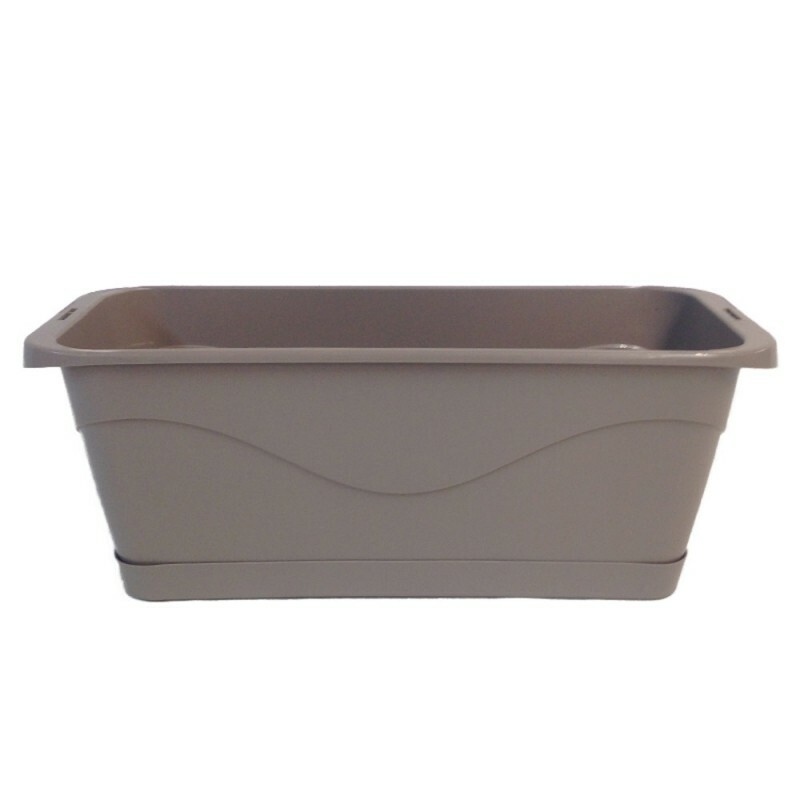 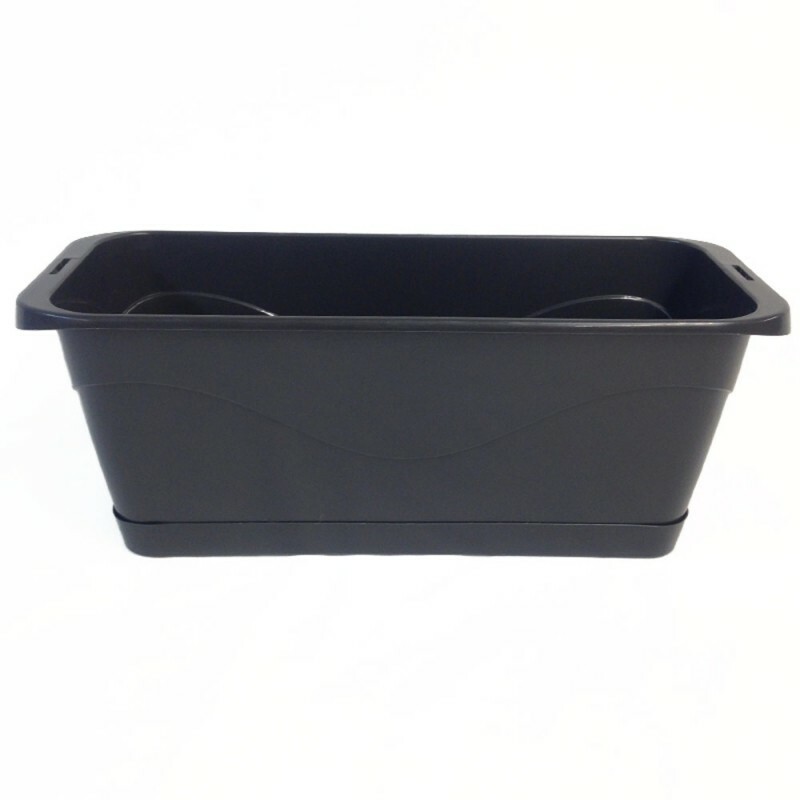 Lightweight, mountable and removable easily, they can be stored in a box of small dimensions: L 25,5 cm x l 19 cm x H 16 cm, which makes you save space in comparison with classical planter holders. 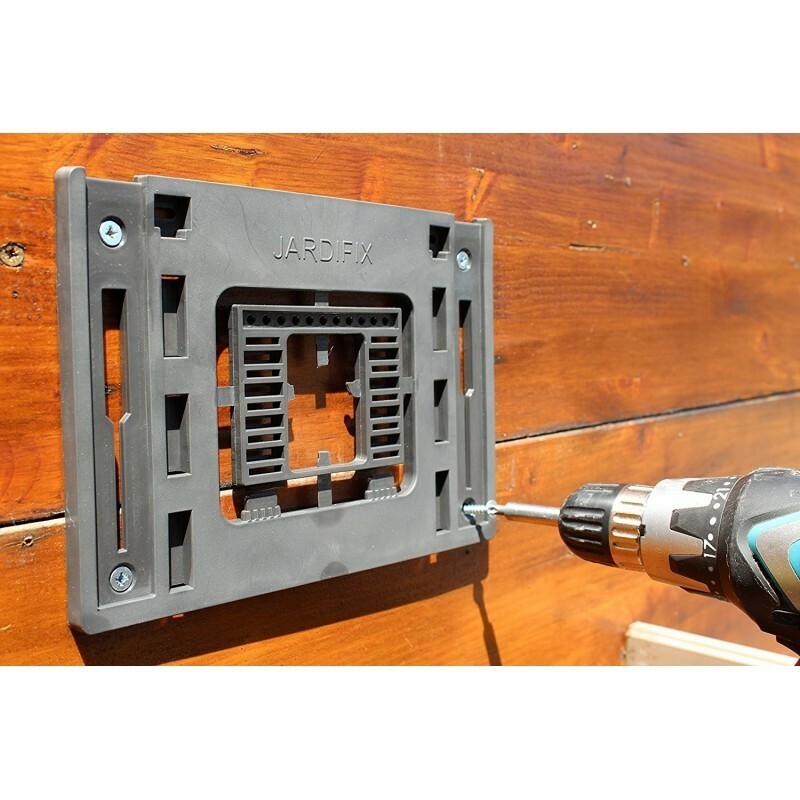 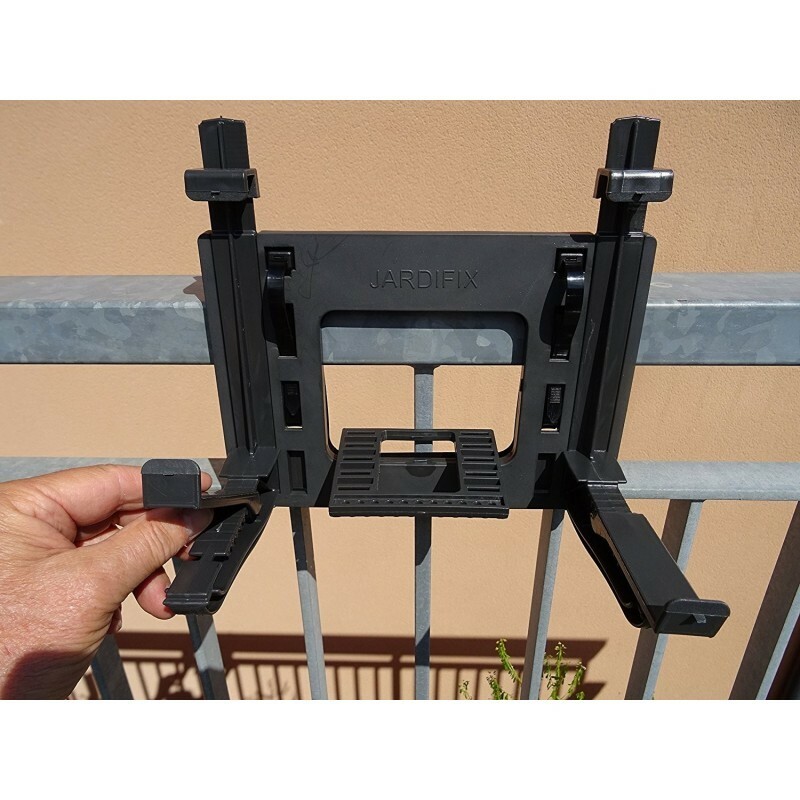 JARDIFIX innovative planter holders can also be used as shelves holders (16 cm width) or for storing gardening equipment, folding seats, hoses, ladders, skis, etc.